Hello to you all, and happy May! I am so excited to share another delicious brownie recipe with you today, one that I am sure will please your taste buds! 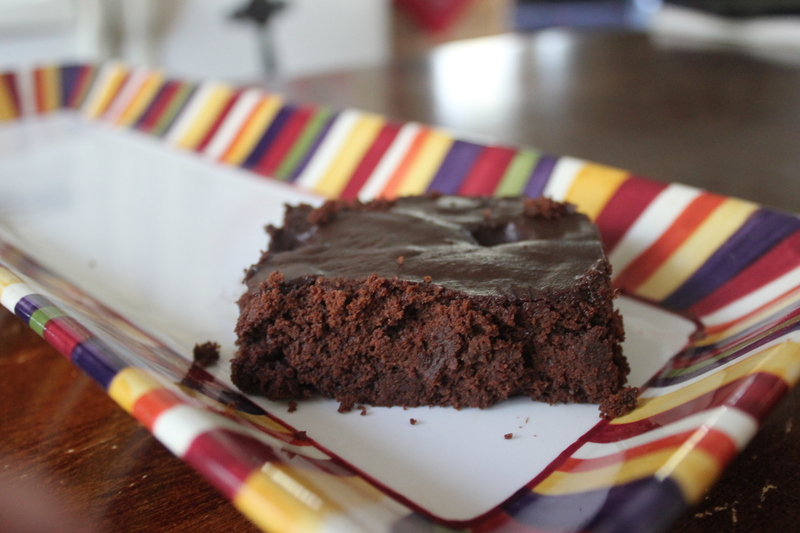 :) Although I do have a couple brownie recipes on this blog, this fudge-filled dessert is a bit more “cake-like” in texture. Oh my….Dear friends…It is absolutely yummy!! *Note: Thank you to Heather from Cook It Up Paleo for the original recipe. A few adjustments were made in what I have posted below. If you would like to view Heather’s recipe, you can check it out here! And make sure to spend a little time visiting her blog. She has some great recipes to share! Preheat your oven to 350 degrees, and grease an 8×8 pan. Set the pan aside while you prep your brownies. In a sauce pan, combine the dark chocolate, cocoa powder, maple syrup, and ghee over low heat. Stir frequently, being careful not to burn your chocolate. Pour this chocolate mixture into a medium sized bowl. Add in the eggs, cassava flour, vanilla, sea salt, and baking soda. Mix well, making sure everything is thoroughly incorporated. Pour your brownie batter into the prepared baking dish, and place in the oven for 15-17 minutes.